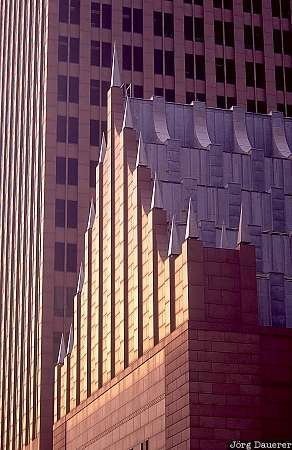 Modern architecture in downtown Houston illuminated by the last light of the day. Houston is in southern Texas, United States. This photo was taken in the evening of a sunny day in April of 2002.